The Summer 2018 quarterly members newsletter of the Gateway Division NMRA, The RPO, is now available online in PDF (Adobe Acrobat) format. The RPO, Vol 26, No 2, Summer 2018 (pdf 2.49MB). This 28-page issue includes the “Superintendent’s Desk” by Jim Ables, “Under the Wire” by John Carty, “Director’s Reflections” by Jon Marx, “Tour of Gateway Rail Services, Inc., Madison, Illinois” by Ron Gawedzinski & Joe Obernuefemann, “Chicago & Illinois Midland SD-18 #60” by David C. Lowell, “AP Certificates Awarded,” “Division Minutes” by Gregor Moe, “Timetable of Events,” and cover photo by Ron Gawedzinski. Edited by John Carty. 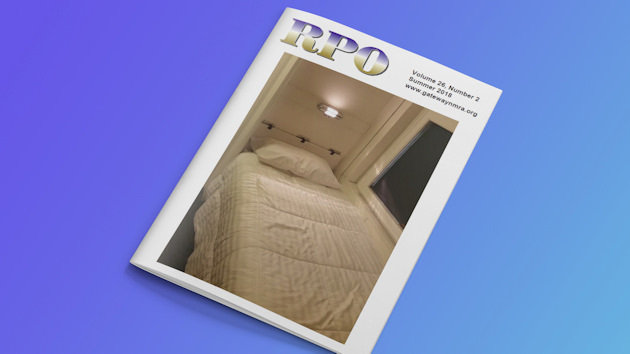 Download PDF backissues of The RPO.